Nu2You began with my love for shopping and “Passion for Fashion”. I have been shopping consignment for over 30 years and have a scary obsession with fashion!!! I have always been a Fashionista, and I especially loved shopping at consignment stores, I love the variety, the prices and the unique finds. And of course the discount racks, where you can find designer items at a fraction of the retail price! Combining this knowledge with her passion for fashion and an awareness of our economy led to the concept of opening an upscale women’s apparel consignment shop. And thus, Nu2You Fashion Boutique was born. I wanted to create something different, that when customers came through the door they feel like they are in a high-end designer boutique. We carry only pristine higher end fashions that are either new or in like new condition. I also wanted to create an atmosphere where everybody feels comfortable, has fun and enjoys their shopping experience. Our mission is to provide an outlet for the reuse of top quality gently used and new clothing and accessories, at great prices, while maintaining the highest level of customer service. 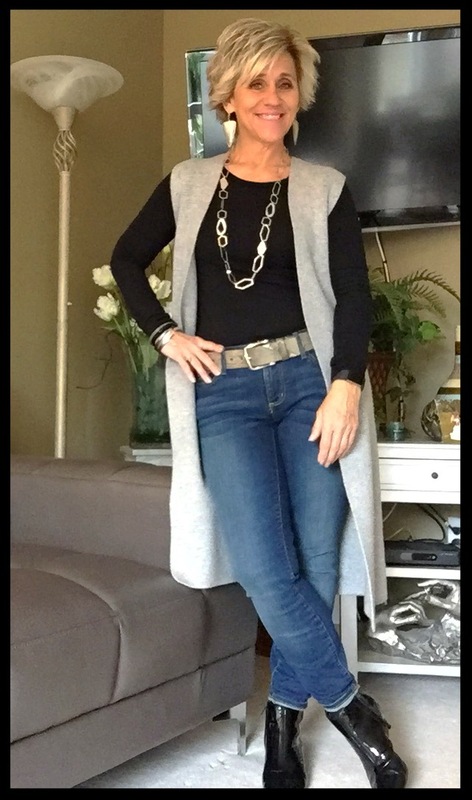 Debbie has been hand-picking pre-loved designer and high-end clothing and accessories to be loved once again by Edmonton’s stylish and savvy. Every day, Debbie accepts items that are new or in new condition, and each item is thoughtfully chosen with her fashionable customers in mind.